Roskilde Allehelgensoptog / Roskilde All Saints Parade from Karoline H. Larsen on Vimeo. 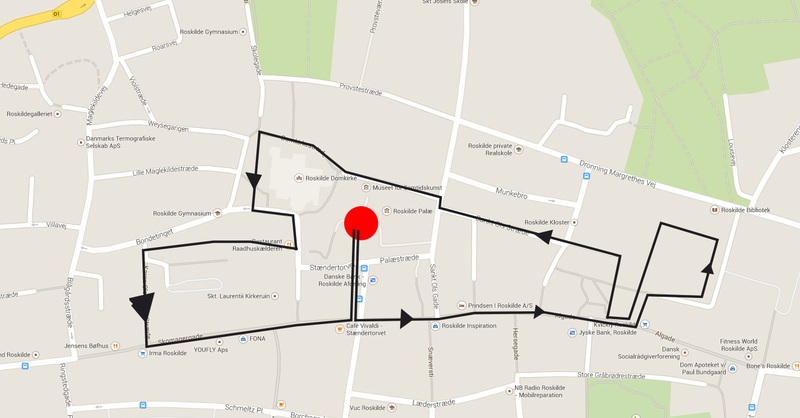 In the evening on Friday 1 November a horrifying All Saints Parade walked through Roskilde city. 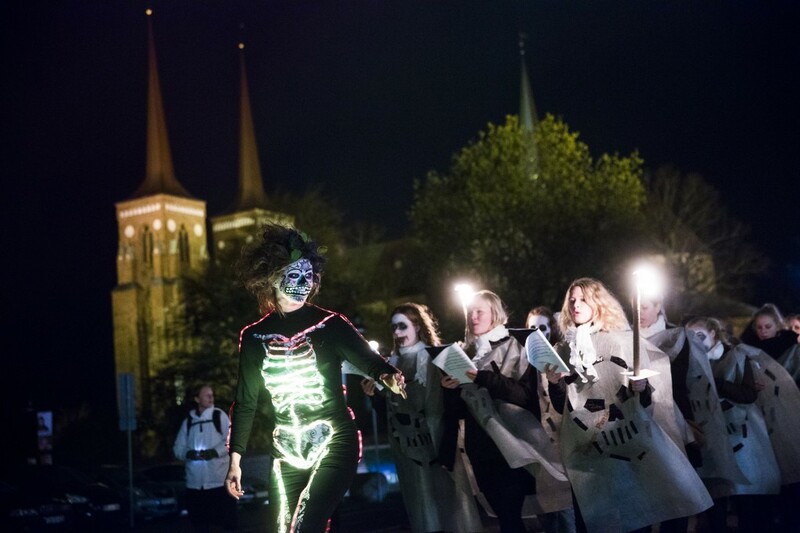 The performance artist Karoline H. Larsen led the way for the parade of ghosts, spirits and dead figures and among the participating groups were Roskilde Cathedral Girls’ choir, Roskilde Music School, BGK Middle and West, Gimle for kids and parents, Østervangsskolen, Roskilde Garde and the Roskilde theater group “De Umiddelbare”. The groups arranged for torches, singing, music, video, images, audio and surprises for everyone. All Saints is known as the Feast of the Dead, when witches, ghosts and the powers of darkness are unleashed to reproach and taunt the saints celebrated on All Saints Day. The celebration of Allehelgen/All Saints and the day was abolished in 1770 in connection with the holiday reform and tradition of the celebration went into oblivion. But now it is back in Roskilde! The Museum of Contemporary Art invited artist Karoline H. Larsen to arrange the performance parade and prior Karoline handled a series of Allehelgens/All Saint’s workshops for Roskilde citizens and invited groups on INSP ! . The parade took place in the context of Roskilde ‘s Festival of Lights to celebrate the city’s Culture street “Kulturstrøget”.